Apple Blossom Stakes winner On Fire Baby will race in the 6th race at Churchill Downs on Kentuckys Oaks day. 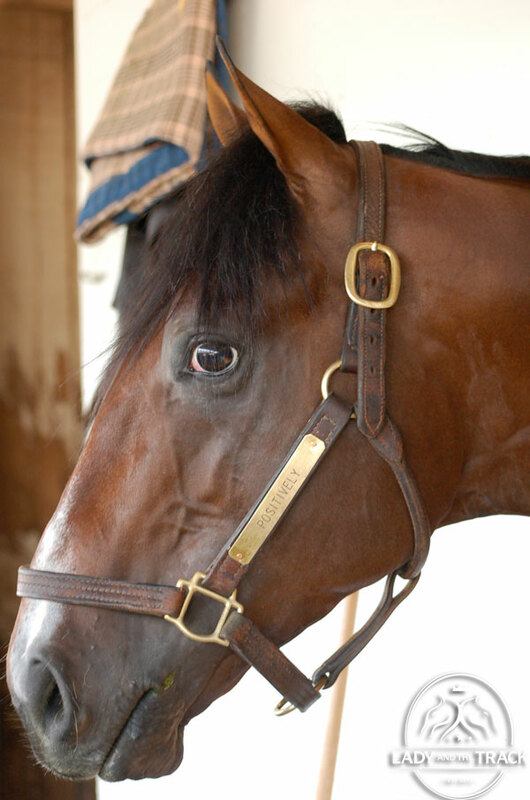 There are several other races that feature a few of our favorites on May 3, 2013 in prelude to the Kentucky Oaks. The Longines Kentucky Oaks is the 11th race of the day with a 5:45 PM EDT post time. We highly recommend spending your day at Churchill Downs to enjoy the amazing races that take place before the 2013 Kentucky Oaks. Below are a few notable races that are sure to get you ready for the Lilies for The Fillies! One Fire Baby will break from post position #5 with 8-5 odds. On Fire Baby is coming off an exciting win at Oaklawn Park where she placed first in the Apple Blossom Stakes. We had a chance to visit On Fire Baby and her owner Anita Cauley and trainer Gary Hartladge this morning. Anita stated that On Fire Baby is ready to run! The beautiful grey filly was ready to go for it this morning during her walk but was held back to conserve her energy for tomorrow’s big race! On Fire Baby looked healthy and happy! We look forward to watching her run tomorrow in the La Troienne Stakes! Private Ensign will break from post position #6 in the 7th race of the day at Churchill Downs on Kentucky Oaks day. Private Ensign will break from post position #6 with 8-1 odds. Private Ensign is a gorgeous horse! 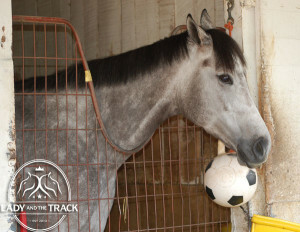 She looked rested and happy this morning at the Churchill Downs barn. Private Ensign had a rough run in her last race but is expected to place well tomorrow in the Edgewood Stakes. Private Ensign is a Siena Farm filly and trained by Dale Romans. 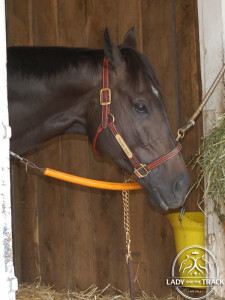 Take Charge Indy will run in the Alysheba on Friday May 3rd before the Kentucky Oaks. Take Charge Indy will break from post position #6 with 4-1 odds. Take Charge Indy was by far the happiest colt at the Churchill Downs barn this morning. His lovely owners, Maribeth & Chuck Sandford, stated Take Charge Indy is doing very well and expect him to do great tomorrow! Jockey Rosie Napravnik will team up with Take Charge Indy for the Alysheba Stakes. 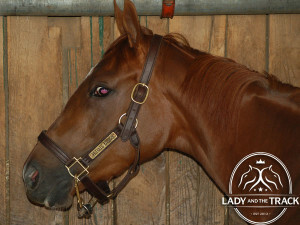 If you’re a fan of Lady and The Track, you know TCI is one of our all time favorite horses! Positively (photo below) will break from post position #6 with 15-1 odds. Positively finished 2nd in his last race at Keenland. Rosie Napravnik will lead Positively across the finish line in the American Turf Stakes. Trainer Patrick Byrne seems confident Positively will do great! Lady and The Track would like to wish On Fire Baby, Private Ensign, Take Charge Indy, Positively, and all of their connections the best of luck! Good Luck! Safe Run! 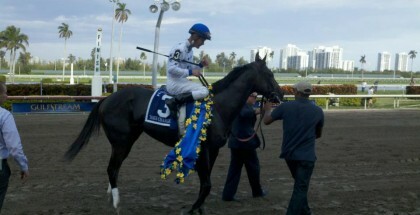 Positively will compete in the American Turf Stakes before the 2013 Kentucky Oaks. Place a bet on Positively!